Bowler offers an exclusive range of quality parts, accessories and accessory kits all designed and engineered by our team in Derbyshire. These products are suitable for Bowler vehicles as well as the Land Rover Defender 90 and 110. This year our range is expanding, starting with the release of a brand new Headlight Surround. The new design incorporates an extra light whilst successfully maintaining a classic Defender look. 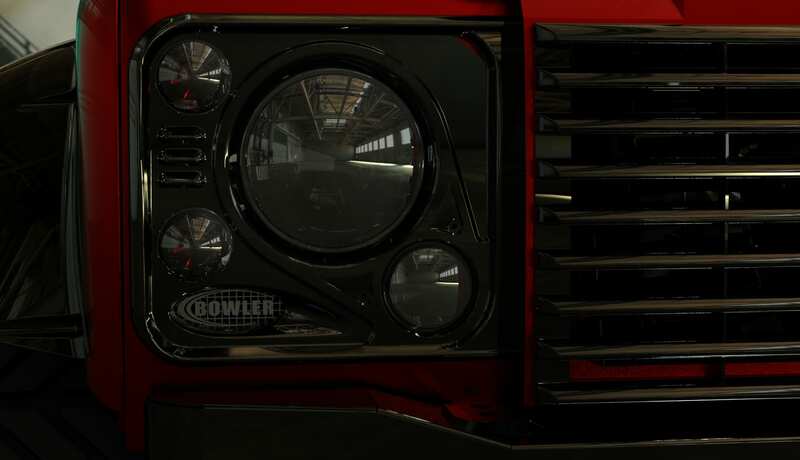 More details will be released soon, with production of the Headlight Surround beginning in the coming weeks. In the meantime, you can browse our full range of existing parts and accessories on our website by clicking here. Parts and accessories can be fitted by the highly experienced Bowler team at the company’s facility in Derbyshire or by customers at home. All enquiries should please call +44 (0) 1773 824 111.